Have you ever seen people wearing those mask like thing during certain infections? I used to consider it some kind of fashion or trend. But now I got to know what those masks are for? Those are the RESPIRATORY types of the PPE (Personal protective equipment). It protect against multiple airborne contaminants. These are different from surgical masks. It is used in emergencies like influenza epidemic. Here you need protection from air-borne transmissible diseases. The surgical masks are the main barriers to protect the patient against possible infection or contamination of exhaled organism by medical personnel, and in turn are barrier to surgical personnel against possible splashing fluids. It is important for prevention of the community. -Further delay in diagnosing the disease and referral services. Studies have been done to compare the effectiveness of surgical masks and respirators during Respiratory infection emergency. Here's a short description on Flexion Tear Drop Fracture and its radiological findings. It typically occurs from severe flexion and compression forces, most commonly at C5-C6 (diving head first, motor vehicle collision deceleration). 1. 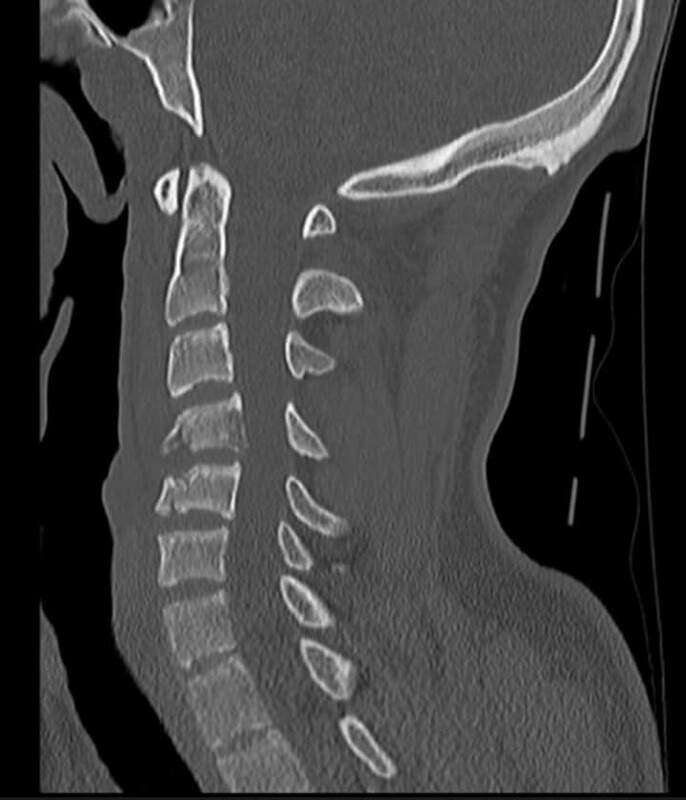 Sagittal fracture through the vertebral body. 3. 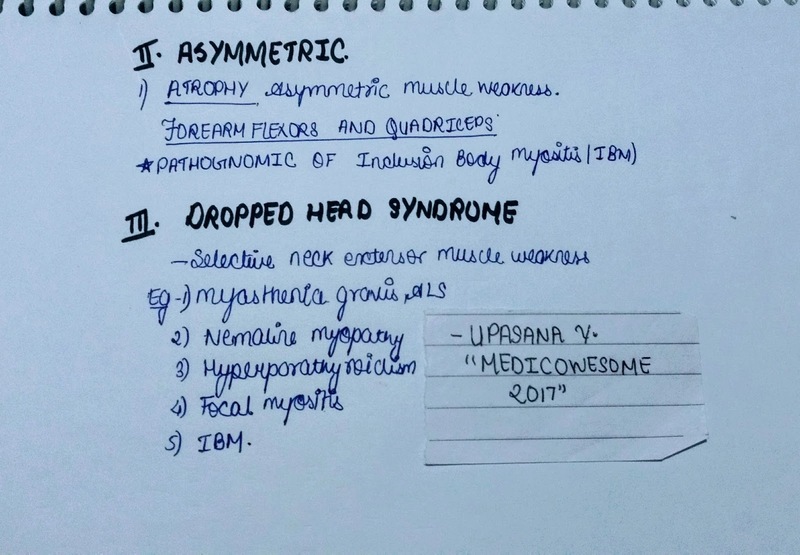 Loss of anterior height of the vertebral body -Cervical kyphosis. 4. 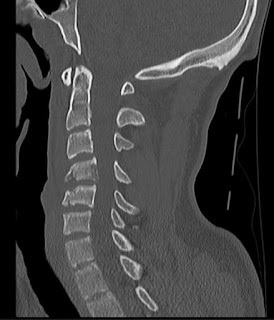 Posterior cervical displacement above the level of injury. 5. 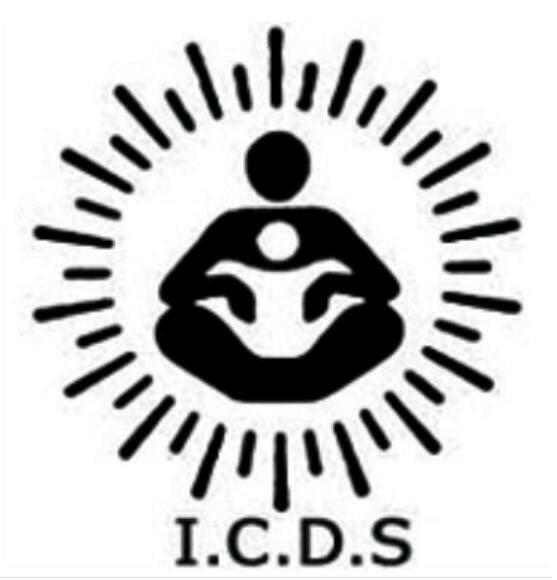 Widening of interspinous processes. 6. Intervertebral disc space narrowing. 7. Disruption of the spinolaminar line. 8. Vertebral body rotation with an AP diameter that appears smaller than on other levels. 9. Anterior dislocation of the facet joints. Yesterday we posted an Image based MCQ on Health Programs. And as promised here is the answer to the question. The correct answer is B. 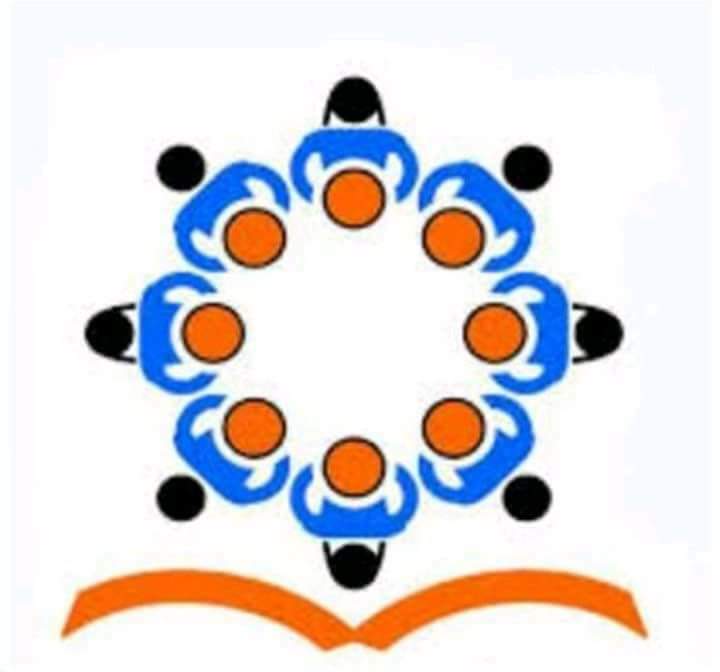 Mid day meal program. 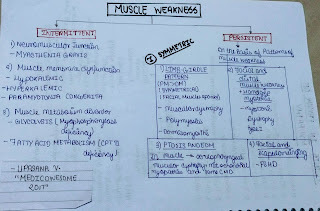 - Hypertrophy of Calf muscles = Dytrophinopathies or Limb girdle muscular dystrophy. -Pseudohypertrophy= Duchene's muscular dystrophy, infiltration by sarcoid granulomas,amyloid deposit, bacterial and parasitic infections. 1. ENZYMES: - I have already discussed its role in metabolic myopathies. - ALT, AST, LDH,aldolase :- Found in both skeletal muscle and liver.Elevated GGT help to establish its liver origin. -CK (MM) help to evaluate myopathies. 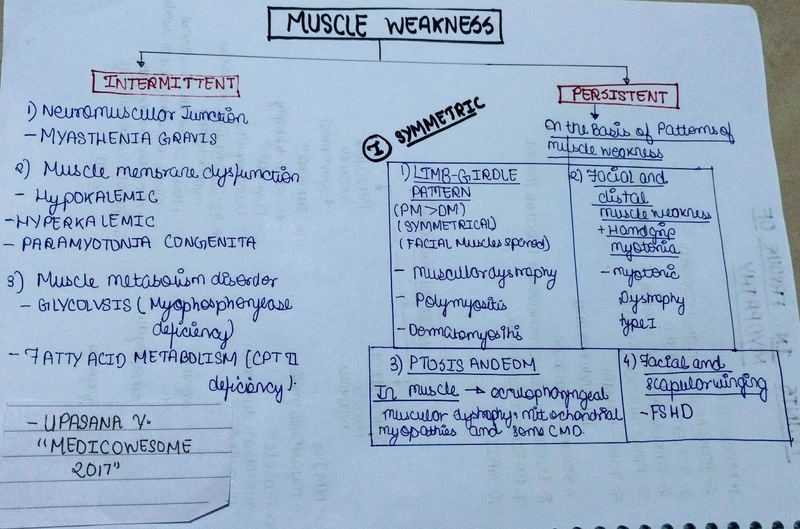 -EMG: - diagnose myopathy and help to choose right muscle for biopsy. 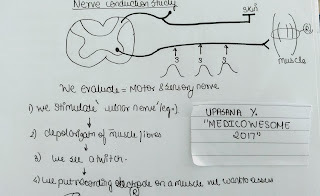 -NCS (nerve conduction studies):-Help to differentiate myopathies from neuropathy and NMJ disorders. 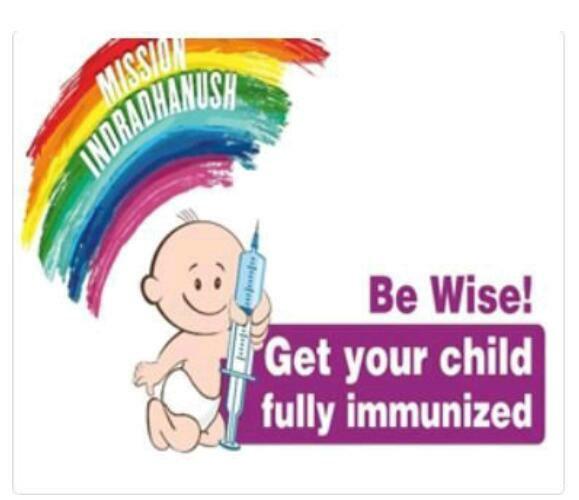 - Place an indwelling catheter in to an antecubital vein and obtain baseline blood sample for lactic acid and ammonia. -The forearm muscles are exercised. Vigorously squeeze the sphygmomanometer bulb for 1 min. -Blood is then obtained at the intervals of 1,2,4,6 and 10 min for comparison with baseline. Normally, Both glucose and ammonia increases with exercise. -Glycolytic defects: - Lactic acid rise is absent or below normal while rise in ammonia will reach the control values. 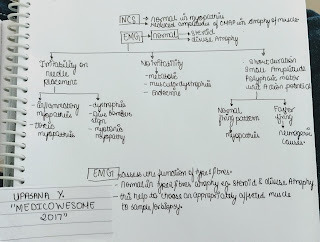 -Myoadenylate deaminase deficiency: - there occur a selective failure to increase ammonia. -Safe diagnostic procedure in establishing the final diagnosis of suspected myopathy. 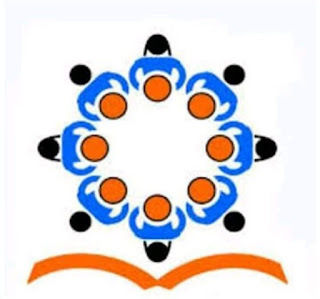 -Different techniques of microscopic evaluation: - Histology, immunohistochemistry with antibodies, electron microscopy. -SITE: - muscle selected may have mild to moderate muscle weakness. 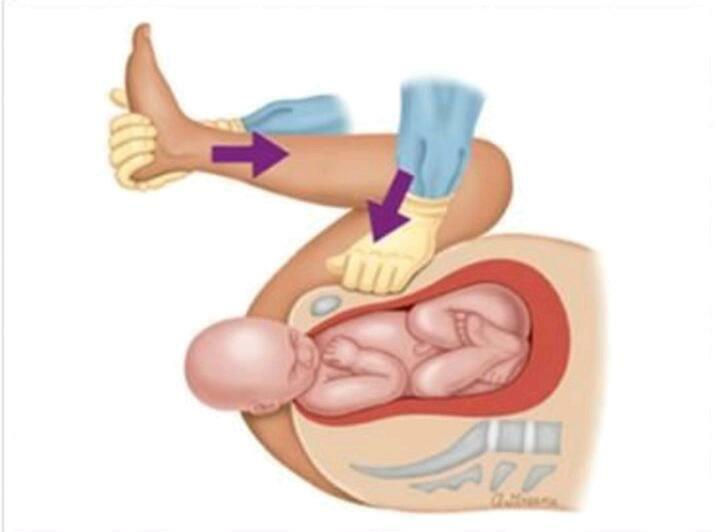 DISTAL: - Extensor carpi radialis, Anterior tibialis. 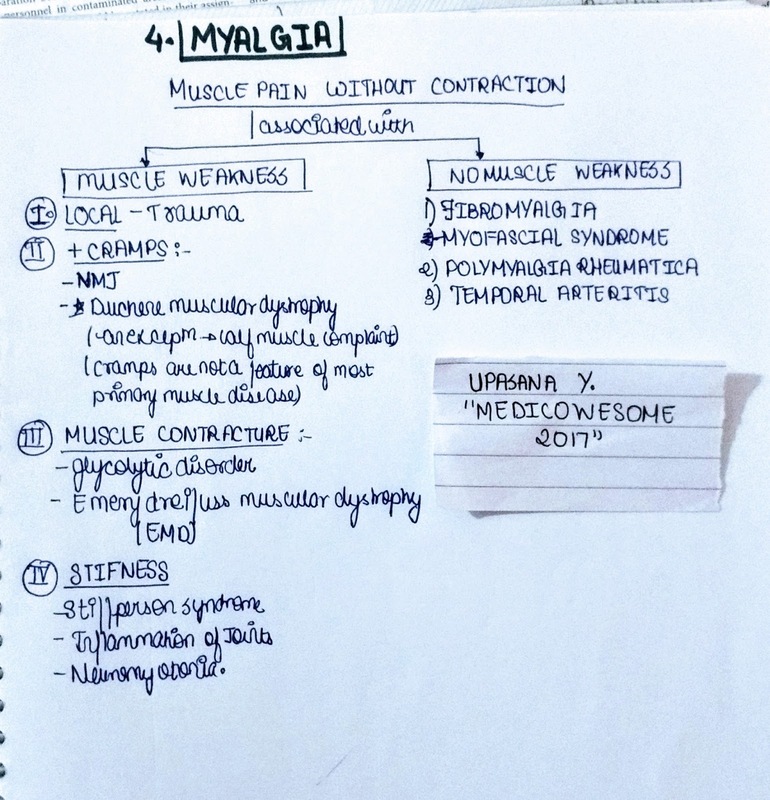 We are done with the basic for myopathy. I remember age and progression of myopathy part. :) I will discuss it in next part. Q. A child accidentally consumed a fruit shown in the picture. Which of the following drugs is used for management? 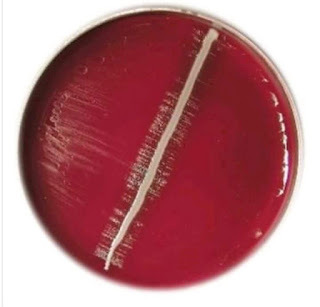 The correct answer is C. Physostigmine. 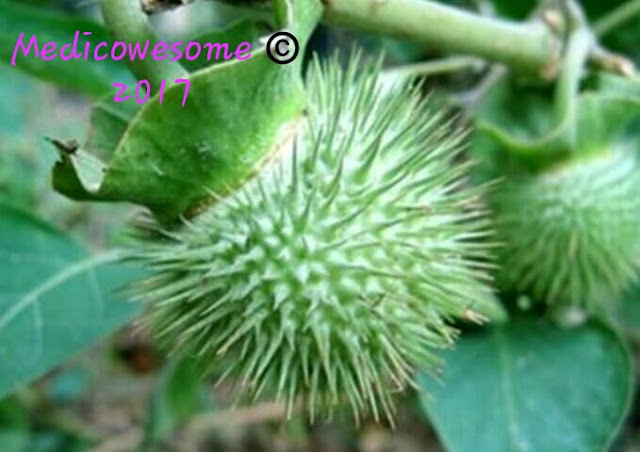 The plant shown in the picture is Datura Stramonium. It contains Atropine which is Anticholinergic. The drug of choice for Anticholinergic toxicity is Physostigmine. Here's a Mnemonic on the causes of Acute Pancreatitis. I hope that this is useful for you guys. People ( or patients ) suffering from depression have reduced integrity of white matter substance. This means the neuronal circuit loses its connections with other parts of brain due to miscommunication between the brain cells. A recent study mapped the internal structures of brain using diffusion tensor imaging ( DTI ) technology, that is a specialised MRI scan that creates a 3D map as it follows the diffusion of water in brain tissue. -Both are rare but occur as a medical emergency. -Incidence of SJS 1-7 Cases per million. 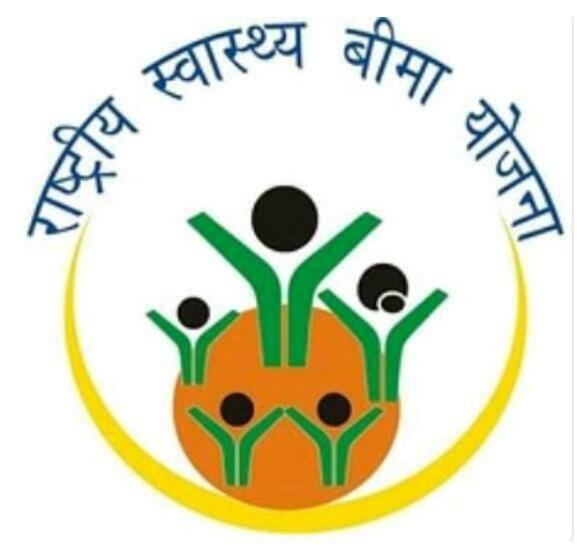 -HIV positive cases have increased incidence. -HLA-B*1502 associated with greater risk with carbamazepine use in southeastern Asians. -HLA-B*5801 confers risk with allopurinol associated reactions. -Slow acetylators so results in prolonged exposure to medications. 3. Perforin, TNF-alpha and granzymes-B in higher concentration, associated with NON-APOPTOTIC death. I will discuss the case we have seen in the emergency ward on the same. And also the treatment aspect. How do we identify the site and cause of lesion? According to Taber's medical dictionary, Lacking physical strength or vigor; infirm especially as compared with what would be the normal or usual for that individual. 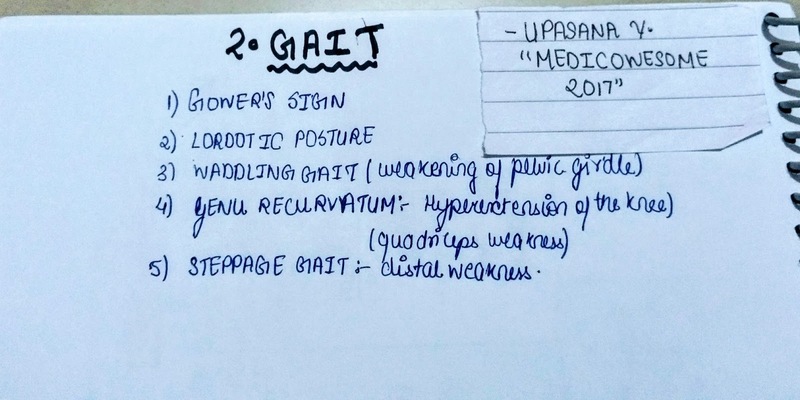 Most muscle diseases produces symmetrical weakness of the large muscles of the girdles and trunk. -Difficulty in taking down item from high shelves. -Difficulty in turning in bed and getting up from recumbent position. -Inability to control neck while in a vehicle as it rapidly accelerates and decelerates. -Inability to close eyes fully. -Difficulty in drinking with a straw. 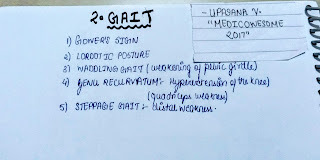 -extraoccular movement weakness are seen. -tend to trip on uneven ground with repeated falls. According to Taber's medical dictionary, the condition of an organ or tissue in which its response to stimulation is reduced or lost as a result of over activity. Abnormal fatigability after exercise can result from certain metabolic and mitochondrial myopathies. And as I have already discussed the importance of duration and intensity of exercise that provokes fatigue. 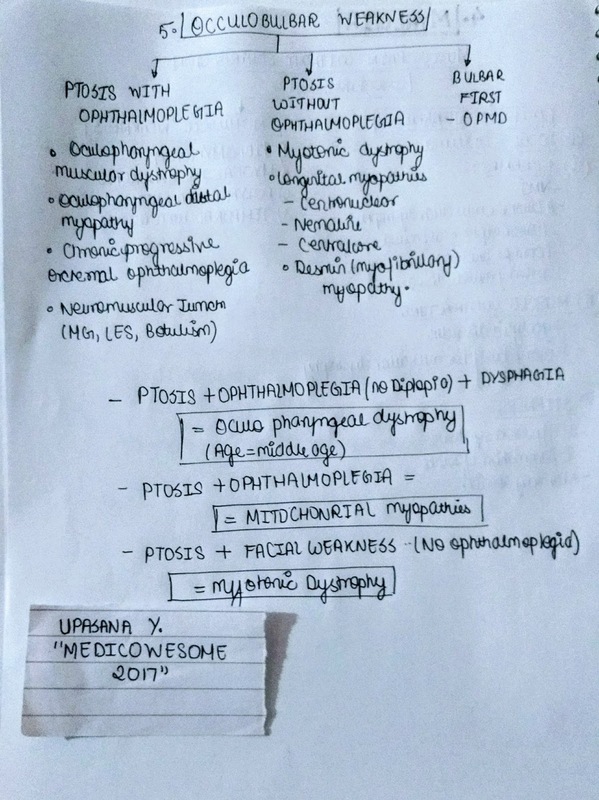 It helps to distinguish metabolic myopathies. -Results in renal failure in severe cases. -Patient complains of exercise induced myalgia then ask about "Cola colored" or "red colored” urine during this episodes. 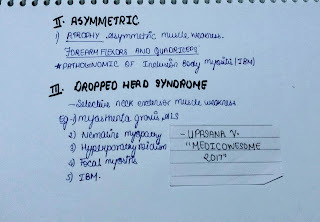 In next post I will continue with the relation of age and progression to diagnose myopathy. Hello guys! 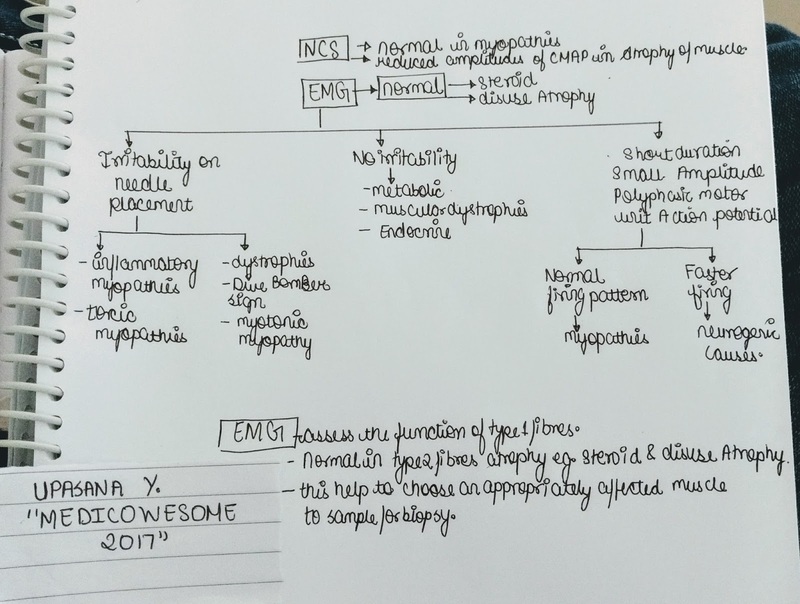 Here's a brief description about Emphysematous Cholecystitis. What are the risk factors for Emphysematous Cholecystitis? 3. Vascular compromise (Obstruction & stenosis of Cystic artery). Emphysematous Cholecystitis is a life-threatening form of Acute cholecystitis & caused due to infection of the gall bladder wall with Gas forming bacteria like: Clostridium welchi. Gas forms in gall bladder wall with occasional detection of crepitation (that's why called Emphysematous). 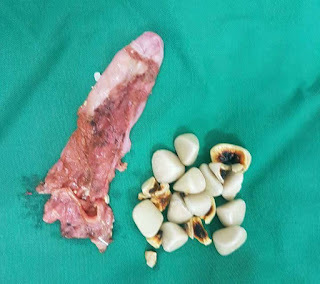 Development of gangrene & perforation is common. 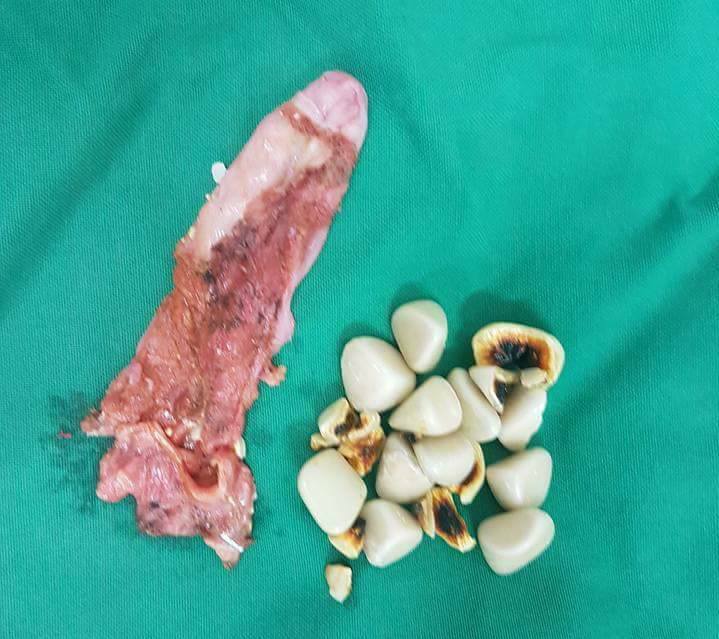 It is managed by Emergency cholecystectomy with broad spectrum antibiotics. If you are short of time, don't read this. Seriously, if you have 2-3 months to prepare - Just do UW, assessments and give the exam. You will do great! If you have a good 6-12 months, you are just starting your prep and need honest advice, here is mine. I haven't got my score yet, but the post has been requested before I even gave my exam. So here it is =) I wonder if my credibility changes after my result. Oh well, guess I'll never know. 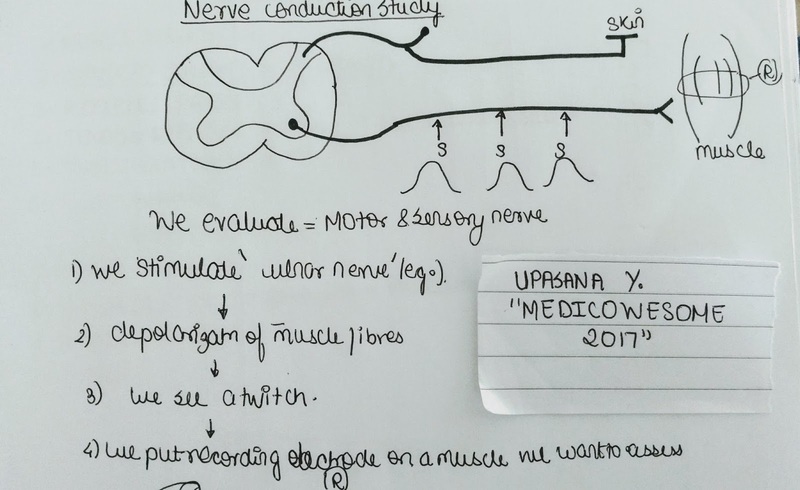 The parasympathetic fibres passing along with the 3rd cranial nerve which supply the pupil lie towards the periphery of the nerve. Hence, surgical compressive lesions like tumors or aneurysms which compress the 3rd nerve end up involving the pupil as well. In contrast, medical lesions like diabetis mellitus or hypertension affect the vasa nervosum which supply the nerve starting from its core.These rarely affect the pupil as the outer, peripheral fibres may remain relatively spared. This however, is not a strict rule.This criterion can just be used for the primary evaluation of the possible lesion. 1. B- jet Black spots which are perivascular. 2. A- Attenuation of arterioles. 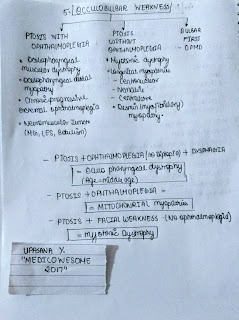 In previous post, I discussed about metabolic myopathies. Today we see the general classification of myopathies. 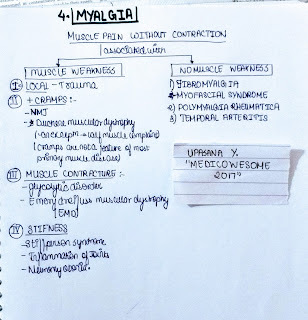 Myopathy means we are discussing problem in MUSCLES. 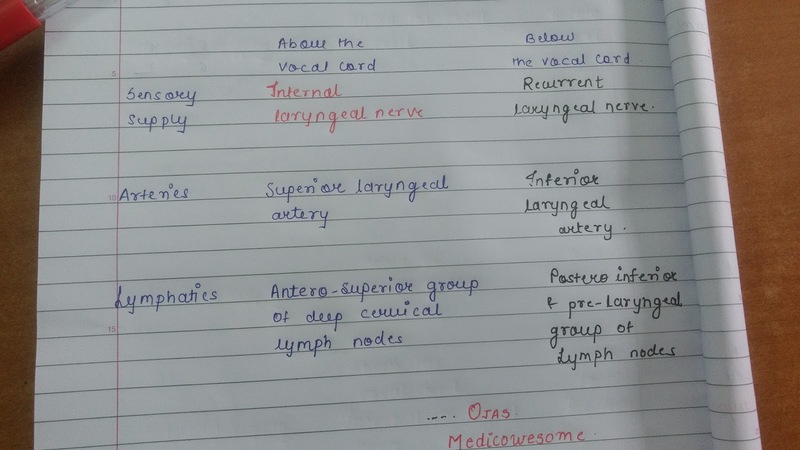 So how do we know the correct site of lesion? To diagnose any myopathy, we need to know its site and cause of lesion. 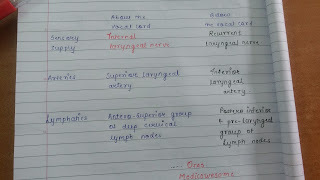 The following helps in the diagnosis.